The Life of Charles E. Wolff Jr.
Charles E. Wolff Jr., 84 of West Chester, PA and Englewood, FL. passed away peacefully with his family on June 12, 2018. Charlie is survived by his wife of 55 years, Mary Lou and son Eric, and two grandchildren, Jack & Kyley. He was predeceased by his parents, Charles and Gladys. He was a member of the American Legion and Elks for many years. Charlie was employed for 37 years in Research and Development for SmithKline & French/GSK. He graduated from Lansdowne High School in 1952, attended Drexel University and was drafted into the US Army serving from 1957-1959. He followed his son Eric, to all soccer and lacrosse games from a young age through college and adored his two grandchildren and enjoyed their activities. Charlie loved dogs, especially his beagle, Happy and loved growing vegetables in his gardens. After he retired in 1996, they moved to Florida in 1998, spending winters by the gulf where he enjoyed fishing every day and teaching his son and grandchildren and many others to fish. He was the old man of the sea and everyone walking the beach stopped to talk to him. 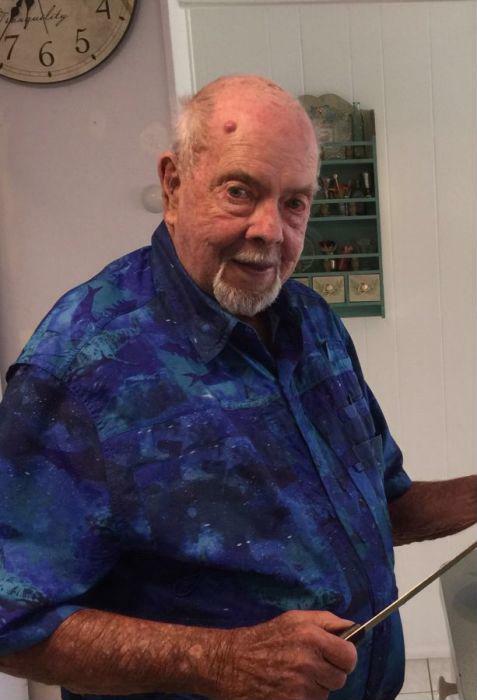 He loved holiday entertaining and hosted the Kentucky Derby every year in Florida. He was a family man, a man’s man organizing a neighborhood poker club for 25 years, avid bridge player, tennis player, hunter, played baseball, a golfer, and avid sports enthusiast who rejoiced to see the Eagles win their first Super Bowl, and Villanova win another NCAA Championship. He modestly volunteered his time and talents working on the Maintenance Committee at the Condo for past 20 years. He was a very good, reliable, honest man who quietly did many things for many people. He battled many illnesses for the past 40 years. He was determined to win this last health challenge to return to PA, but the Lord had other plans for Charlie. He was loved and will be missed by an army of friends and family.